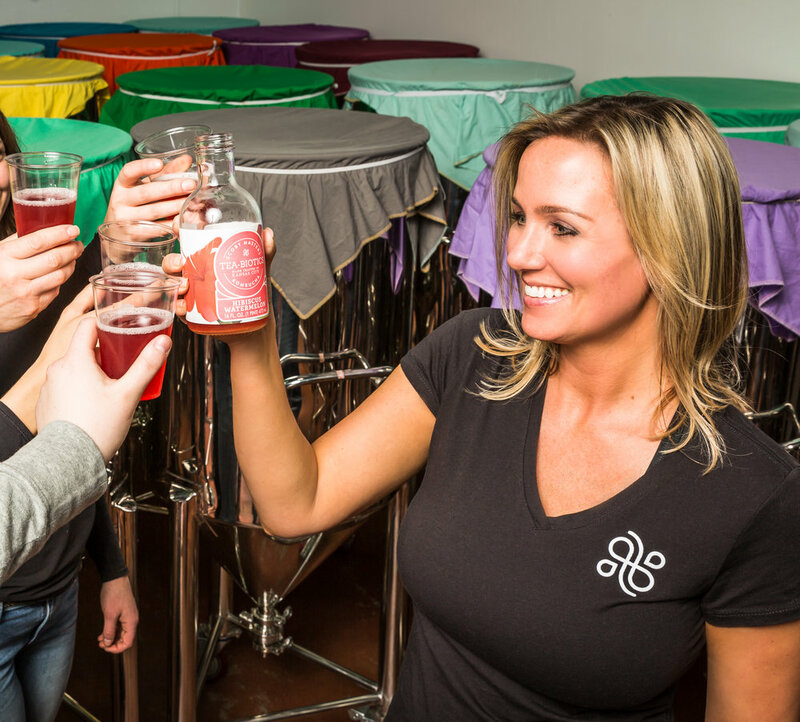 Bubbly kombucha is popping up all over Kansas City! This sweet and fizzy fermented tea is fun to drink and has become increasingly popular in the States among those looking for a tasty drink with health benefits. These Lenexa scoby masters are brewing up fizzy fresh organic kombucha that's made in small batches with love! Flavors include hibiscus watermelon, cherry lime, mule mix, and elderberry mango. Find their fresh kombucha on tap all over the Kansas City area, the Overland Park Farmers Market, or visit their taproom at 11415 Strang Line Rd in Lenexa, where you can sample 24 different flavors and get 64 oz. growlers to enjoy at home. Combine Kansas and kombucha, and you have KANbucha! It's made locally in Lawrence in small batches with all organic ingredients and teas from Hugo Tea Company in Kansas City. Flavors range from sweet to spicy and include ginger, chai, roonilla, om tree, jazzminade, grape, and gingerose. Find it on tap in Lawrence at the Bourgeois Pig and the Burger Stand. If you can't make the trip out to Lawrence, you can find bottled KANbucha locally at Enjoy Pure Food + Drink, The Filling Station, Vitality Bowls, and Whole Foods. Find tasty, handcrafted artisanal kombucha in North Kansas City at The Brewkery! They've been brewing their Lucky Elixir kombucha since 2015 to numerous stores all over the midwest. In February of 2018, they opened a kombucha taproom at 1443 Swift St in North KC where you can try new flavors and enjoy a flight or pint of kombucha. Favorites include berry blend, hop'd peach, ginger lime, and mango.